« 1708 needs your support! Attention, Artists! Submit an entry for InLight 2013! 1708 Gallery invites artists working in all media and disciplines, including performance, to submit proposals for InLight Richmond 2013, 1708 Gallery’s 6th annual one-night, public exhibition of light-based art and performance. 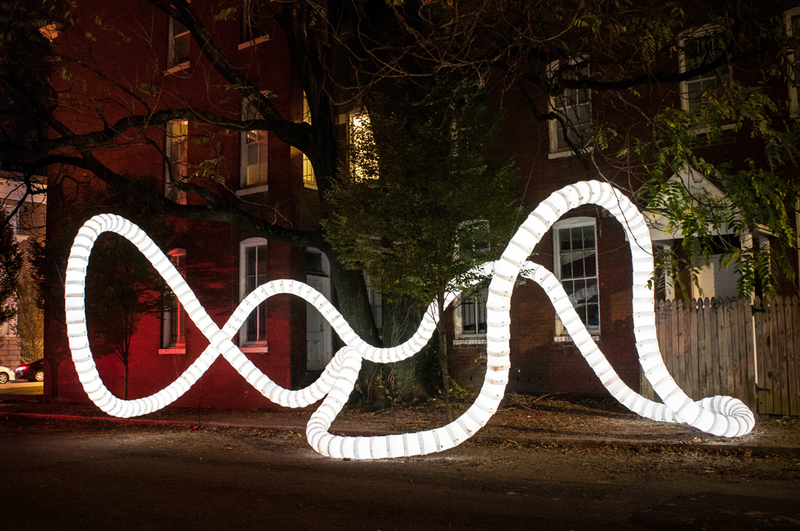 InLight Richmond 2013 will take place on Friday, November 8 in Shockoe along the Riverfront Canal Walk. The juror for InLight Richmond 2013 is Ken Farmer, Creative Director of Nuit Blanche New York. The Canal Walk is marked by the intersections of Shockoe Slip and Shockoe Bottom, the Kanawha Canal, the Floodwall, the Richmond Slave Trail, Interstates 95 and 195 and railroad lines. It is bordered by the James River, the Virginia Capital Trail, and numerous retail spaces, bars and restaurants, and business. Proposals should involve, be inspired by, investigate, or interpret themes of light, from light as medium to light as concept. Additionally,1708 Gallery encourages artists to propose projects that respond to/interact with the site, considering the historic significance of the Canal, Shockoe Bottom and Shockoe Slip. The geographic and architectural features that characterize the Canal Walk as a place-a knot of river, canals, thoroughfares, rail lines, overpass and expressway-also mark the intersection of Richmond’s economic, social, political and cultural memory. Situated in the margins of transport and trade and alongside the James River, the Canal Walk is also well-suited for ecologically conscious works that illuminate the relationship between natural and human-made environments. Existing work, as well as proposals for new projects, will be considered. In addition to technical and production support, an honorarium of $300 will be given to each project. All projects are eligible for the Best in Show award ($1500) and the People’s Choice award ($500). Environmentally conscious works are also eligible for the Most Environmentally Conscious award ($1000). The deadline for submissions is midnight (EST), July 15, 2013. This entry was posted on Monday, June 24th, 2013 at 10:53 am	and is filed under Inlight. You can follow any responses to this entry through the RSS 2.0 feed. You can leave a response, or trackback from your own site. is there a site list as there was for the last inlight festival?